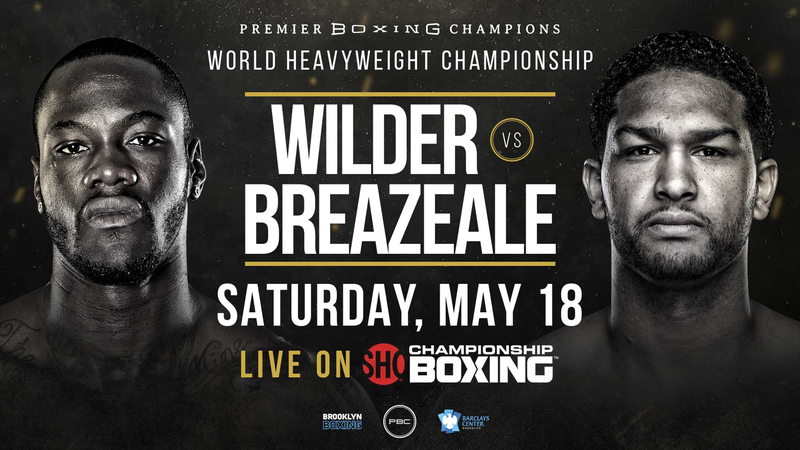 Deontay Wilder resumes his destructive career with a WBC heavyweight title fight against bitter American rival Dominic Breazeale on May 18, live on Sky Sports. 'The Bronze Bomber' can boost hopes of an elusive undisputed title fight against Anthony Joshua by defeating mandatory challenger Breazeale at the Barclays Center in Brooklyn, with Wilder targeting his 40th knockout in his unbeaten 41-fight career. A stunning final-round knockdown of Tyson Fury allowed Wilder to retain his WBC belt with a draw in December and after a rematch was pushed back, Breazeale received his shot at the title following a long-running feud with the champion. Wilder insists a blockbuster battle with Joshua can happen in the future, but must firstly overcome Breazeale, who has responded with three knockout wins since his sole defeat at the hands of AJ in June 2016. "We need to see one champion, one face, one name," said Wilder. "It is a mighty task to getting that complete. It takes cooperation with a lot of people to make that happen. But Breazeale holds his own ambitious plans and aims to become a world heavyweight champion at the second attempt. Adam Smith, Head of Sky Sports Boxing, said: "Deontay Wilder's WBC title fight with Dominic Breazeale kicks off a massive three weeks for the heavyweight division. "All eyes will be on 'The Bronze Bomber' as he defends the WBC belt in New York, and the following weekend cruiserweight king Oleksandr Usyk joins the top division by taking on Carlos Takam on May 25, also live on Sky Sports. "Wilder and Usyk set the scene in the heavyweight landscape before Britain's unified champion Anthony Joshua marks his US debut against unbeaten challenger Jarrell Miller at New York's Madison Square Garden on June 1, live on Sky Sports Box Office.